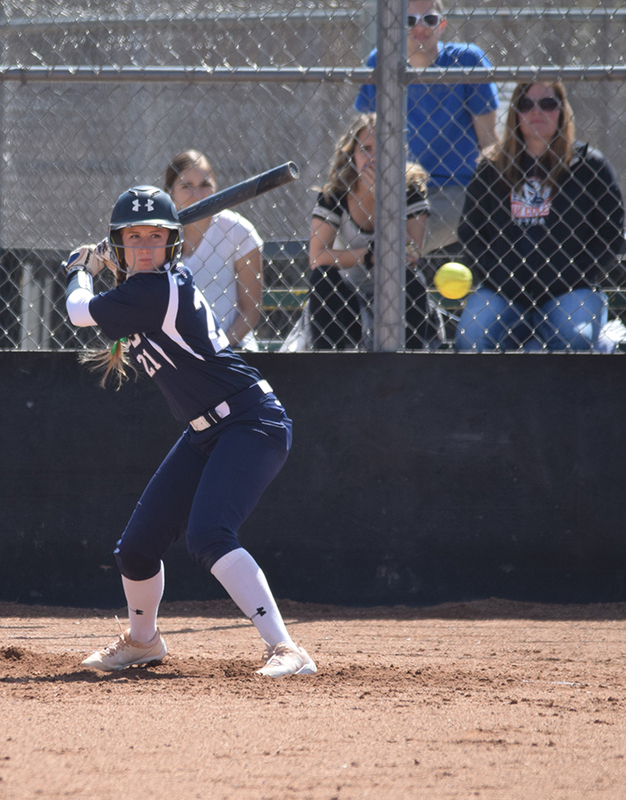 Last weekend the Utah State University Eastern softball team battled against Snow for an important conference series. With the conference standings being close, it was a jaw-clenching series. The softball team headed into this weekend with a conference standing of six wins and 10 losses, and Snow with six wins and nine losses. If Eastern won, they would be in sole possession of third possession of third place behind Salt Lake Community College sitting on top, followed by College of Southern Idaho in second. With a loss, Eastern would drop to fifth and Snow would take over third place. Fourth place would be College of Southern Nevada who the Eagles split with March 16-17. The first game of the series against Snow, the Eagles were struggling with their bats early in the game, it was not until the fourth inning that they were able to string hits together and put runs on the board. Cassidy Howe scored the first run of the game with a sacrifice fly ball to left field, scoring Ashlynne Adams. The last three innings of the game were a battle between Snow and USU Eastern, with the score being tied 11 -11 going into the seventh inning. The Eagles failed to score in the top of the seventh. In the bottom of the seventh, Snow’s Emily Adams, hit a walk-off home run to defeat the Eagles 12-11. The second game of the series was another one-run game. The Eagles and the Badgers were tied again, 4-4 going into the seventh. The Eagles struggled at the plate in the top of the seventh inning and were unable to score any runs. Going into the bottom of the seventh inning and two outs to go, Badger Sarah Sandberg scored the winning run with a triple to right center field, making the final score five to four. The third and fourth games of the series were hard defeats for the Eagles, with the final scores being 11-3 and 8-2. Although the Eagles lost this weekend’s series, they are still on track to double their record from last year. With last year’s conference standings being five wins and 37 losses, this year the Eagles have already surpassed that record with their conference standing being six wins and 14 losses at mid-season. Cassidy Howe lead the Eagles with a batting average of .505, and Taylor Passarella .371 coming in second. Cassidy Howe also leads the Eagles in runs and hits with 32 runs scored and 46 hits. This weekend the Eagles take on Colorado Northwestern Community College at Colorado and are looking forward to working hard to win the series.